If you had told me before I started my healthy hair journey that I would be using natural oils on my relaxed hair I would have laughed at you. Really, natural oils? Why would I do that? Little did I know then how beneficial using natural oils could be. Or that they would replace the drugstore serums and oils I was using at that time. 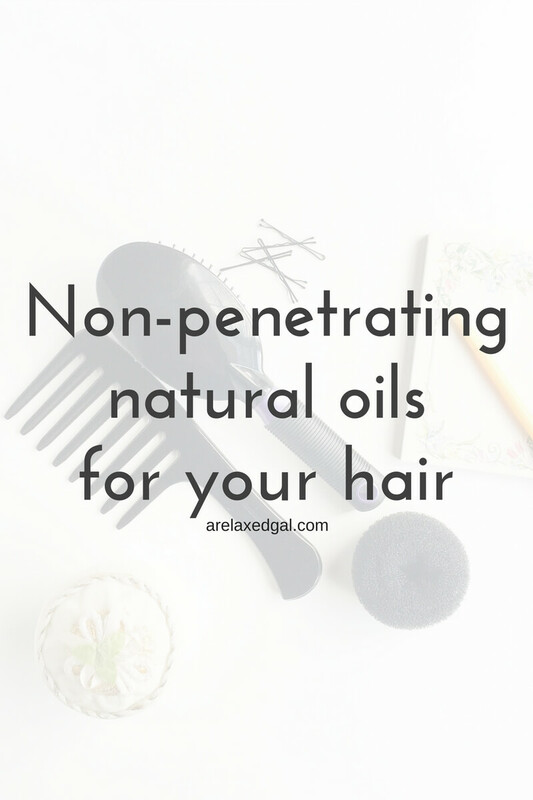 So what are some good non-penetrating natural oils for relaxed hair? 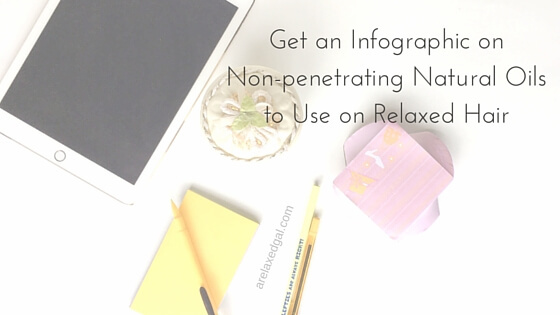 Check out the infographic below to see my top picks and their benefits. Castor Oil has been become a must have in my hair regimen. I apply it to my scalp several times a week now. Also I've never heard of Kukui Nut Oil. It sounds like something I'd like to try, where do you purchase it? I've been using Jamaican Black Castor oil on my scalp a couple of times a week. It works wonders. You can get Kukui Nut Oil on Amazon and at GNC.